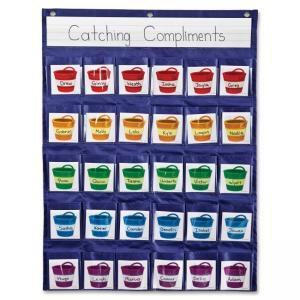 Pocket chart offers a neat way to give students positive reinforcement. The heading, Catching Compliments, is above 30 colorful bucket cards in five rows. 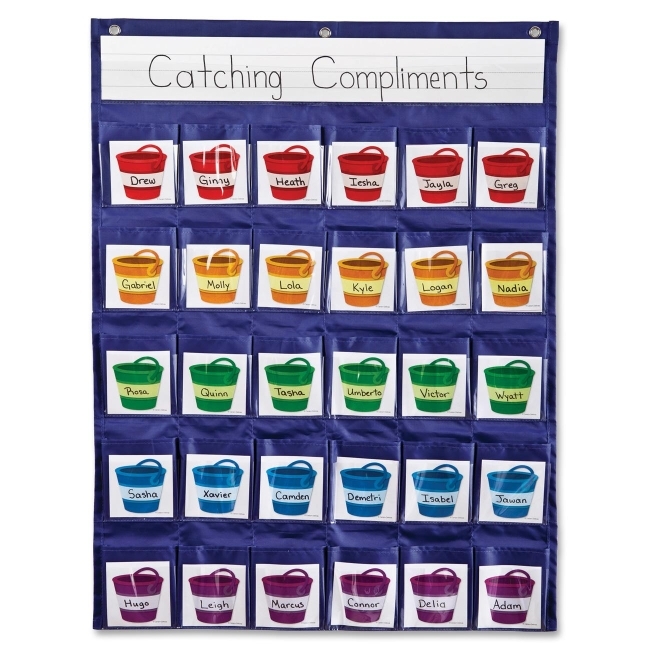 The bucket cards have a space to write in your student's name and fit into the clear outer pockets of the 30 fabric pockets on the chart. Reward students for good behavior and work by filling the spacious fabric pockets. The pocket chart also features one clear storage pocket and three eyelets along the top edge for easy hanging.